What's it going to take for you to become incredibly successful? How can I get across to you exactly what you need to do right now, to start living your life on your terms. …And THAT is the purpose of this email. Recently I made a profound discovery. It came to me totally by accident. My first thoughts were it would have to be one of the three all-time classics. But then I started thinking about that and said to myself, hang on a second, I read ll of those books in my early 20's and I was still broke at 36, 16 years later. So they had impact, but obviously no momentum. That was my big A-HA moment of discovery. So many people I run into simply rattle off personal development classics that have had profound impact on their life and yet they're still broke. Just like I was. So that got me thinking. Which book had both, impact AND momentum? …That got me off my bum and into relentless action? The answer will surprise you and in all likelihood, you've probably never heard of this book. That book was The Great Boom Ahead by a guy called Harry S. Dent. Certainly not going to go down in history as a classic but it had lots of factual information to back up his theories. The premise of the book was based on baby boomers and the influence that their spending power will have on the economy. That's basically it. So how can I possibly compare this with something like Think & Grow Rich? Here's my opinion. Think & Grow Rich inspires you, but creates absolutely no urgency on you taking action today… Right this minute. It does not create any URGENCY. Well, it certainly didn't for me. This is so fundamental to creating success. I simply could not miss the next 10-15 years in the economic cycle… But I had a few challenges. Like no money and not a great understanding of how investing, business and making money really worked. So with no time to wait, instead of going out there all motivated, I decided to sharpen the axe before I started swinging. Here's what I did in the next 3 months. * I read as many personal development, investing and business books as I could during that period. * I stopped buying the Sun Herald newspaper. Stopped watching the 6 o'clock news and current affairs. * Got up 1 hour earlier in the morning to read and also spent one hour in the evening reading and just thinking. Total immersion in financial literacy as well as personal growth. the skills to do so. But right now, you've got an unfair advantage. We're STILL in the greatest boom of all time. You might doubt me because the stock market crashed recently. But let me say that those that had the financial intelligence would have made a fortune even as it crashed. STEP 1. You MUST create URGENCY. Whatever the reasons are for you to create wealth, don't wait another minute. Put things in place right now. STEP 2. Take ACTION and build MOMENTUM. All the knowledge in the world will do you no good if you just sit on the sidelines and watch. Making money is not a spectator sport. You have to participate. STEP 3. Develop a money-making SKILL. If you focus, really focus, within 6-12 months you can become and expert in virtually any investment area. Be it real estate, stock market, internet or business. What have you read lately that has impacted you to create momentum and what are you doing on a daily basis to significantly change your life? With regards to Harry S. Dent's material, a lot of his crystal ball predictions have come true. Some haven't. In any case, it's an excellent resource that might do exactly the same to you that it did to me. Our resident property investing expert, Dymphna Boholt wrote a compelling article this morning about her view on the current market climate and what is in-store for property for 2008. So I thought you would be really interested in her perspective. With her permission, I'm reproducing the email she sent out to her clients this morning. Lots of folk want to know what I think about the recent stock market antics. If you're an investor, you'd surely know that the market took a serious down-turn last Tuesday and has come roaring back since. Now, I have to make an admission here, when it comes to the stock market I'm not a bona-fide expert. Sure, I look at it and my husband, Brian trades it from time to time, so I know where it's at most days based on my husband's emotions (and his bank account). …But I do have a view… And I think you should have too. paralised into just watching and not taking action, but you're actually looking at opportunities to profit. Sometimes to look for profit opportunities, you have to look at history and see whether you can learn anything from it going forward. I remember the stock market crash of October '87, which amazingly is 21 years ago. It doesn't feel like it, does it? Now I wasn't an investor back then, I was working as an accountant in the mining industry. So I never felt it personally, but my industry at the time was devastated. But I do remember the market reacting and moving money into safe-havens. First up, lots of people put their money into “cash in the bank”. Interest rates back then were higher of course, however there was an upward trend on rates as is the case now in Australia. The next commodity that moved was gold. It makes a lot of sense that when people are unsure or afraid, they buy gold, perceived as the only true form of value in a crisis. Not long after, we experienced the boom and bust of the real estate market. The periods through '88 – '91 saw real estate double even in an extremely high interest rate environment. So what's happened this time round? Well, first up… We've seen masses of money move into bonds, which is another form of “putting money in the bank”… And this morning on Wall Street, gold hit an all-time high. Here's a little secret. Have you seen a chart of Gold against the S&P200? Now I know you're not a stock market expert, but if you ever learn one thing about the market, it's Gold's relationship against equities. You'll see on this chart, when Gold started trending up in October 07, our market started to show signs of weakness. Remember how I said earlier that you must have a view. I've heard a lot of commentators say that this time it's different, however history looks like repeating. Let me tell you, it's not even really history that is repeating. It's just basic economics. People move from speculation to certainty, and right now it's no different. I hear all the talk that real estate prices wont move that much, this time it's different and that we're already in a real estate boom anyway. Well, I've got my thoughts on that and I believe that we're going to see a significant increase in real estate prices throughout 2008. Now, you can sit on the sidelines and just watch what happens… But that's not what active investors do. They look for evidence, validation, confirmation and with the gold price hitting an all-time high, that's a damn-good sign for what is about to happen. They're my thoughts… I hope they help and clear some of the confusion that might be around at the moment about investing in real estate. Two days ago blogged part 1, that looked into exactly why some people have the natural ability to easily ATTRACT and accumulate WEALTH, while others constantly struggle and never get anywhere. Today I will continue with part 2 and highlight four more critical distinctions to CREATING WEALTH. When you have the ‘RICH' MINDSET, you're totally Committed to SUCCESS. You go the extra mile, and do whatever it takes to get there. You have clear, unwavering focus and dedication. You don't let doubts enter, and never allow them to take sway. You're determined, persistent and focused on action to move forward. Whatever gets you the SUCCESS you want are the only things in which you're interested. By contrast, the ‘poor' mindset will see you being half-hearted and lacking tenacity, endurance and staying power, so you tend to give up as soon as the going gets tough, or you have to step out of your comfort zone, because it's all too hard, really. When you're in the ‘RICH' MINDSET, with your big visions and dreams, you focus on doing what you love and are passionate about. Having fun and doing things that exhilarate you are utmost important values to you. You believe that you can always invent or GENERATE MONEY on demand by creating new ventures, products and services that provide value to others. You're ‘rich' not only in your ability to ATTRACT MONEY and material things, but also in understanding human beings, market demands and needs, state-of-the-art trends, and in providing value and serving others. As Zig Ziglar says – “The best way to get what you want is to help as many other people get what they want.” How true is that? If you're stuck in the ‘poor' mindset, you tend to under-rate and sell yourself short. You look for the easiest thing to do and opt for what you can do comfortably at the most basic level, or get some minimal skills training so you can do it. Sometimes you may even operate on automatic pilot without a plan, or by default, and just ‘settle' for whatever turns up. It'll do, it's good enough. Successful people constantly raise the bar and ASPIRE TO GREATER THINGS. They also invest in their personal development and ongoing learning and see it as a life long journey. SUCCESS TIP – Focus on your passion and commitment – it will override your programming. Focus on your higher vision and purpose and do something you're passionate about. DO WHAT YOU LOVE and love what you do. When you have the ‘RICH' MINDSET, you may fear failure, but you're so intently focused on SUCCEEDING, that you see nothing else. Nothing else matters except for achieving the end goal. You take responsibility and step up to the plate, and revel in it. If you're in the ‘poor' mindset, you fear failure. You may also fear success and the responsibility that comes with it. You most likely will undermine or sabotage succeeding and say – “see I told you so, I knew it wouldn't work.” Or blame external forces or other people. ‘Fear' is the greatest repellent to getting what you want and attracting what you desire. With the ‘RICH' MINDSET, you ACT WITH SPEED. You aren't overly perturbed when something doesn't work or fails. You see it as a way to de-bug what you've been doing so you can perfect and get a step closer to succeeding. You have less emotional attachment, which frees you up to try more things, in spite of the risks. It's a numbers game for you, with percentage hits. In the ‘poor' mindset, because you lack confidence and fear failure as well as success, it all gets too hard, so you delay taking action and procrastinate. You miss out in terms of timing, and the opportunity goes elsewhere to find a more ready and eager participant. If you have some or many of ‘rich' thinking qualities above, congratulations, you're on your way. If you haven't yet, rest assured not all is lost, as you can cultivate it with PERSISTENT COMMITMENT and application. Nothing is going to happen in your life until you fully recognise these and break through so you can start living the life that you deserve. There is very little point in understanding strategies and tactics when within you, you have beliefs that are limiting your success. Have you ever wondered why some people have the natural ability to easily ATTRACT and accumulate WEALTH, while others constantly struggle and never get anywhere? Why some people do and others don't has fascinated me all my life, as have the underlying consciousness dynamics of RICH' thinking and ‘poor' thinking about success, money and ABUNDANCE. In my quest to uncover the reasons, I've read many books (Kiyosaki, etc etc etc) and have been an avid observer of people – the SUCCESSFUL and not so successful. The two groups of people have distinctly different mindsets, belief systems, and approaches to life and living. It's as though they see the world through two very different sets of colored glasses. The GOOD NEWS is that you can change your mindset, with concerted and consistent focus and application. Let's examine the key signs that differentiate both groups. In the process, let's take it a step further and I'd also like to offer some practical action steps you can take to change the way you think, what you do, and the results you achieve. There are 5 specific steps that I've identified that can drive you to rich thinking. I'm going to cover three today and send you the next two tomorrow. When you have a ‘RICH' mindset, you have grand ‘VISION' and see with crystal clarity what you want to achieve, and believe you will achieve it with all your heart. It starts at the ideas phase, you then nurture it, develop it, ‘feel' it as if it's happening ‘now', and live and breathe it, until it becomes your reality. You get excited about it and your passion and natural enthusiasm is so infectious it rubs off on others and enables them to see your vision too, and they get swept-up in your EXCITEMENT. Conversely, with a ‘poor' mentality you may not be clear, or even more sadly, you don't know what you want. You've succumbed to the conditioning about stereotypes and boxes you ‘should' fit into that you've been fed throughout your life. This has blurred your connection with going for and achieving the best in your life. You may entertain some dreams, but either you lack confidence in yourself, fear failure, or are concerned about what family and friends may say, or that they may shoot down or ridicule what you want to do – the “tall poppy syndrome”. SUCCESS TIP – It's the saddest thing to wander through life not knowing what you want. So, take the time to GET CLEAR and define what you want. Get visual and graphic about it by using a picture or vision board to compile your ‘mind movie' about your dream life. We acquire our beliefs early in life from our parents, upbringing, peers, and environment. It takes a healthy level of self-awareness to know what beliefs drive and influence your life. It is oh so worthwhile taking the time to CLARIFY this for yourself. Be aware – and beware – of potentially contradictory beliefs – “I want the success and wealth, but maybe I'll get stressed out, have to work too hard, get drawn into more than I want to and can do, I'll lose my freedom, maybe it'll go belly up, and then what?” Watch your ‘buts' as they are clues to your inner conflicts. This thinking sends confusing mixed messages out into the Universe that will be taken literally, dissipate your original intention, and get you more of the negative side of the equation coming your way. SUCCESS TIP – Monitor your dialogue for a day or two, or even better, a week. WATCH YOUR THOUGHTS, words and phrases you use, write them down in a journal, and analyze them intuitively. You could also get a trusted friend to monitor your dialogue and constructively feedback to you. When you've identified your limiting beliefs, draw up two columns and write them in the left column. Then rephrase them positively in the right column, and notice the shift you feel. This is a mindset thing that with concerted effort and reprogramming you can acquire, change or make adjustments to help you achieve your success plans. You take risks and get high on the adrenalin rush. Whether you know it or not, you're tuned into your gut instinct, your intuition, you follow your hunches, and it drives the way you approach your business activities. By contrast, if you're in the ‘battler', ‘victim' or ‘poor' mentality, you're focused on surviving, security, protecting yourself, and minimizing or defending against bad things happening. You're in defense mode most of the time. It's a ‘fear' and ‘siege' mentality, which makes you want to ‘close down shop' at the slightest threat of a bump in the road. You're not a risk taker. It's best to do nothing than to risk failing, because that's too big a risk, devastating and bad. When presented with an opportunity or challenge, you go through the filing cabinet in your mind of all the things that could go wrong, that have gone wrong in the past, to justify not taking action. With a ‘rich' mindset, you will approach a problem as a challenge to overcome and tackle it head on. In the ‘poor' mindset, you will see it as an insurmountable problem that is the bane of your life. “Oh ‘poor' me” – and literally. Success Tip – Focus on the ‘rewards' rather than the ‘risks'. It's all about how you perceive and approach an opportunity, issue or problem – with the mindset that you can do it, and solve it, no problem at all. It's like switching between the two sets of colored glasses, or changing gears in your car. So there you have it. Three critical distinctions to creating wealth. Nothing is going to happen in your life until you fully recognise these and break through so you can start living the life that you deserve. Tomorrow I will cover a further two beliefs that will help you identify your own limitations as well as give you simple steps to break through them. 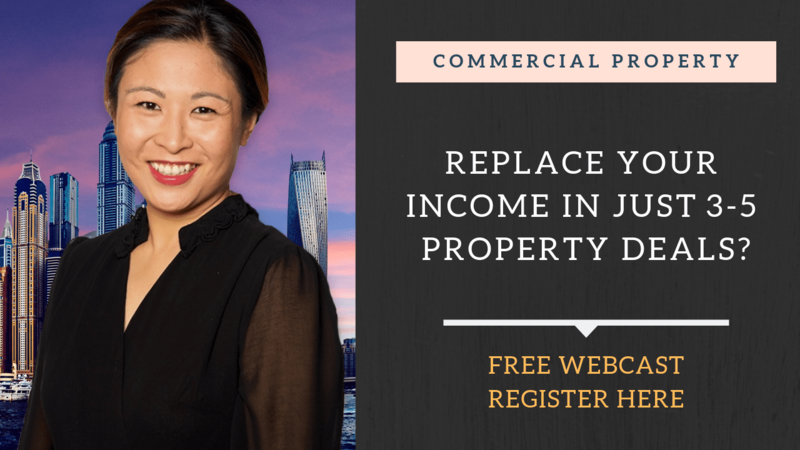 Love property, but have no money? Well, here's what I suggest. Watch this “7 Minutes to Wealth” session where multi-millionaire real estate investor, Dymphna Boholt reveals how she got started in property with no money. In fact, Dymphna will show you her very first deal which she bought with no money. Now, this was a long time before Dymphna became a respected real estate investor and educator. If your dream is big enough and you have desire and purpose, then you too can achieve similar results. I literally stayed up all night writing a letter for you that basically explains everything that you're getting as part of the Millionaire Phenomena Wealth Passport. Well, I actually did sleep from 4am to 6:30am, but I felt like I was up all night. It took a lot longer to write this letter than I thought it would, primarily because there was so much that I needed to say. …And I also explain to you everything that I've poured into this 12-month program. I have to warn you, I ended up with a very long letter. Please forgive me for the length. I know that a lot of you already know whether you want to be part of this program or not. If that is your situation, then just skip to the bottom of the letter you're about to go to, fill out the form and place your order. On the other hand, I know that some of you really want to see what is included in the course. If that's you, then I think I've done a pretty good job at explaining the magnitude, the impact and the quantum change that Millionaire Phenomena Wealth Passport will create in your life immediately and then ongoing throughout 2008. Thank you for participating this far in the journey. Let me finish by saying that this is just the beginning. If You Paid Some or All of the Purchase Price For Bextra and/or Celebrex, On or Before July 29, 2005, You May Be Able To Get Money Back buy celebrex ﻿Visit the official site for CELEBREX ® (Celecoxib) Capsules. Find Info on arthritis, treatment of symptoms, & safety Info for CELEBREX. McNeil Consumer Healthcare Division of McNEIL-PPC, Inc. (McNeil) is voluntarily recalling certain lots of MOTRIN® IB 24 count COATED buy motrin online What's better for my child when she has a fever, acetaminophen (Tylenol, Tempra ) or ibuprofen (Motrin, Advil)?